Of course, we can blame as much as we want corporate media, its greedy owners, or its equally corrupt writers and journalists, who prefer to stay within the familiar paradigm rather than expanding our vision. If the government is involved in something that smacks of venality, incompetence, or corruption, why stress it? Why create in readers’ minds anxiety, why make them worry about the outcome of this or that political decision. Instead the press prefers to deliver the message from our leaders that ISIS is contained, that “Mission Accomplished,” that the main contender for the Democratic nomination is an experienced diplomat (rather than a war-monger mired in endless military misadventures), and other comforting lies, that get debunked almost as fast as they are created. If we trust great American philosopher C.S. Pierce, the object of any philosophical inquiry is paradoxically similar: to dispel, to pacify doubt. When something strange occurs, something that is, so to speak, “not written in our philosophies,” we begin to think, we are thrown into doubt or turmoil. Our mind gets awaken and begins to search for an explanation, for the way to inscribe the new strange phenomenon into the already familiar system of thought. And once the explanation is found, the philosophical inquiry peters out so we can go back to our intellectual slumbers. The theory of scientific revolution, articulated by Thomas S. Kuhn in his groundbreaking study, The Structure of Scientific Revolutions (1962), proposes a similar pattern. Whenever there are new facts that do not fit the reigning world picture, scientific establishment tries to explain this new data within the system of currently accepted scientific notions. Only when too many new unaccountable facts overcrowd our scientific horizon, can shift in paradigm occur, so that the current scientific outlook gets discarded, giving way to a new one. This new paradigm provides a totally different way of explaining the world: it takes new facts not as aberration in need to be explained away, but as the very foundation for a new scientific orthodoxy. So we should not be surprised that the function of mass media is to maintain this intellectual status quo, to preserve the dominant intellectual paradigm. Modern journalists are like the scientists of Kuhn’s scientific revolution who refuse to acknowledge that the paradigm is shifting. Similar to the Catholic Church at the time of Galileo, today’s establishment journalists are doing their best, utilizing their connections with temporal and ecclesiastical authorities mostly to stifle new anxiety-producing discoveries. In his recent interview with NPR’s Tom Ashbrook, Robert Parry, independent journalist, and author of an excellent book, America’s Stolen Narrative (2012) was rather explicit about it. Of course, we can blame as much as we want corporate media, its greedy owners, or its equally corrupt writers and journalists, who prefer to stay within the familiar paradigm rather than expanding our vision. But we must also acknowledge that most of them are simply doing their job – they provide us with comfort and mollify our doubts and anxieties. The world around us might be going to pieces. Wars, terrorist attacks, economic collapse, increased mortality and suicide rates, police declaring war on the citizens, explosions, hostage taking. When reporting the news, the mass media prefers to deliver it within a particular framework: “everything is under control,” or will get under control when an opposite camp comes to power. It dutifully informs us that presidents and other authority figures participate in consultations, make recommendations, articulate modifications, and supervise implementations. Once in a while, a bad apple gets arrested, be it a banker, policeman, or a terrorist, which only proves that the system is working, so the citizens and readers do not need to ruin their sleep. And sure enough, majority of the public finds these explanations, these narratives, convincing and comforting, while those who don’t –resort to whatever they have at their disposal to pacify their own doubts, from drugs and alcohol to all kinds of conspiracy theories. Dostoevsky, the person who refused to accept all these comforting simplifications, understood the high stakes involved in our willingness to embrace this intellectual stupor. The Brothers Karamazov features a story of the Grand Inquisitor, a person who took control over people’s thoughts and conscience while convincing them that it’s done for their good. This self-appointed guardian of people’s happiness, this opponent of Christ and his teachings, based his activity on a simple fact that Christ had put too heavy a burden upon the human mind and human conscience. He gave people freedom that required them to think and choose, to deal with good and evil, right and wrong. So Grand Inquisitor and his helpers decided to take away these troublesome freedoms so detrimental to a good sleep. They took it upon themselves to be our guardians, they become, in other words, the chattering classes that explain our troubles away, that simplify our life by clearing from it all intricacies of right and wrong, good and bad. By siding with Grand Inquisitor and his paternalistic vision of humanity, these guardians, be they journalists or think tank dwellers, have clearly committed what Julien Benda –in his brilliant 1927 book, La Trahison des Clercs (The Treason of Intellectuals)–calls treason. Benda argues that intellectual’s treason consists precisely in intellectuals’ decision to give up on their duty of reminding mankind of its high calling, of its magnanimity and nobility. Instead, they decided to join politicians and other demagogues by appealing to the lowest in humanity, to its nationalistic, racial, religious, or class passions. This treason is hardly academic, since it results, as Benda predicted with chilling precision– in a devastating war. Tempting as it is to blame mass media and its cynical role of society’s guardians, as the elite chosen to maintain the tranquility of our sleep, it is us who enable Grand Inquisitors, and hand them our freedom to think and to choose. It is us who rush to the mass media as we rush to a pharmacist in search of a tranquilizer. Who but ourselves desperately cling to the crumbling paradigm, to the utopian belief that the world is fine, to the attitude mocked already by Voltaire: Dans ce meilleur des mondes possibles, tout est au mieux. (All is for the best in the best of all possible worlds). 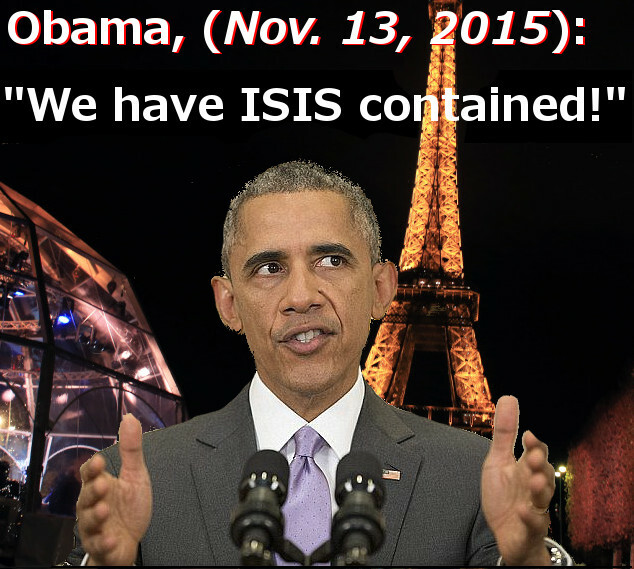 Terror attacks on Paris? Let’s watch CNN or BBC and listen to the endless parade of experts who deliver with confidence the lists of useless details and equally useless opinions. But as long as these voices are calming, there is no need to worry. But let me tell Thee that now, to-day, people are more persuaded than ever that they have perfect freedom, yet they have brought their freedom to us and laid it humbly at our feet…Man was created a rebel; and how can rebels be happy? … Thou didst reject the only way by which men might be made happy… Thou didst crave for free love and not the base raptures of the slave before the might that has overawed him for ever… I swear, man is weaker and baser by nature than Thou hast believed him! Can he, can he do what Thou didst?… Respecting him less, Thou wouldst have asked less of him. That would have been more like love, for his burden would have been lighter. He is weak and vile. We shall show them that they are weak, that they are only pitiful children, but that childlike happiness is the sweetest of all. They will become timid and will look to us and huddle close to us in fear, as chicks to the hen.… Yes, we shall set them to work, but in their leisure hours we shall make their life like a child’s game, with children’s songs and innocent dance. … We allow them to sin because we love them, and the punishment for these sins we take upon ourselves. And we shall take it upon ourselves, and they will adore us as their saviors who have taken on themselves their sins before God. And they will have no secrets from us. … The most painful secrets of their conscience, all, all they will bring to us, and we shall have an answer for all. And they will be glad to believe our answer, for it will save them from the great anxiety and terrible agony they endure at present in making a free decision for themselves. And all will be happy, all the millions of creatures except the hundred thousand who rule over them. For only we, we who guard the mystery, shall be unhappy. The program of Grand Inquisitor, of the old man who dares to arrest Christ for loving people with demanding rather than condescending and dismissive love, is well implemented in today’s world, by today’s ruling elites. It is the mass media that saves us from “the anxiety and terrible agony” of making free decisions for ourselves. It is these self-appointed Guardians (and the New York Times) that explain to us, whom to love, whom to hate, and whom to vote for. And, as Dostoevsky suggests, these modern day pundits are well aware of their demonic role. The ultimate irony is that they don’t really think of our happiness. It is their own ease of rule that they want to protect, the rule over cattle pushed into a coral where it can do very little damage to themselves and others. But after all, why should they worry about us? Their task is to “diffuse a slight fog in our brain,” that would make their role of governing easy. It is our task to demand more than that. Many Christians seem to be of the opinion, that God created evil, to allow man the free will to choose between the two options in their everyday life. The evil/left-hand path seems to be all about control of others, and submission to those higher up the hierarchy. Of course, this may not be true, but as long as people act as if it is, it becomes true in practical terms. There was a lot of ‘cultural Marxism’ at the Oscar ceremonies, this year. Black rights, women’s rights, gay rights, and environmentalism. Just don’t mention the war. Hollywood seems to be the organisation of choice, when identity politics needs a gripe; that and other media organisations. ie. establishment media complains about another part of the establishment media. Of course, what Hollywood, Jeremy Clarkson or a thousand other controlled people and organisations think, doesn’t necessarily say anything about broader society, at all. Awe-inspiring and courageous exposition of truth by Mr.Golstein. Outstanding. Having got away from any television over the past five or six years and given up on any last vestiges of desire to regularly see what the internet versions of the mainstream news media are putting out in print or web over the last two or three, this quote has a wonderful precision. When I end up watching TV or looking at the Guardian/ Telegraph/ Mail etc website now for whatever unusual reason it does strike me as being, well… childish, as if designed and packaged for adolescents, children. It’s clear now, after having extricated myself from the insidious patronising nature of the whole construct these institutions clothe themselves in, how unhealthy and sickly sweet it all is. All polished surface and sharp sound bite mixed with celebrity glitz and consumer gloss. All the toxins hidden inscrutably inside like the worst kind of processed food, a day-glo candy-floss to slowly sicken and debase. So many people just lap it up though, a David Cameron level of debate becomes enough to placate them. Adults have no need of it. The owner of off-guardian.org has configured their website improperly. To protect your information from being stolen, Firefox has not connected to this website. off-guardian.org uses an invalid security certificate. It is a bit of a drag having to go through this rigmarole from time to time. While I now know what to expect from this procedure, others may not and this kind of activity may have a strong deterrent effect on others such that they chicken out from going through the security exemption process and just duck out of viewing your site altogether. I suggest you speak to your ISP people in order to resolve the question of the validity of your security certificate. Off-Guardian may not feel the need to use the secure protocol as there is no sensitive data being shared (financial/ security etc). It may become necessary in the future if they expand in these areas. Thank you for the clarification. Your very useful explanation will assist me in future. As you point out, OffGuardian may need to address this issue in future. As I also pointed out, if others are being affected similarly, this could affect the numbers visiting the offGuardian site. It may especially affect those leaving comments, possibly for the first time. I think offGuardian really should address this matter ASAP – but it is obviously up to them. Thanks, John. I’ll pass it on. Our site is hosted on WordPress and will have their security certificate, which obviously must be configured properly. No one on our editorial team has ever has this happen, using Firefox or Chrome, so it’s very odd indeed that any of our readers should be getting that misleading alert. Absolutely fascinating. More analysis like this, please!